Greetings and salutations! In this golden age of television, we are hereby in the golden age of reboots, with shows coming back from the dead and then movies getting the TV treatment. It’s a really great time to be alive. It’s going to be an even better time soon in the near future, now that TV Land has announced that they are brining Heathers to the small screen. YES. YOU READ THAT CORRECTLY. 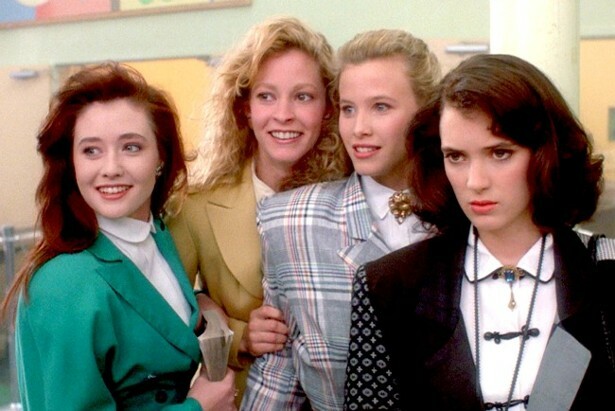 TV Land has decided to reboot Heathers as an “anthology” series — with a twist. According to Entertainment Weekly, this twist is that “this time, the ‘outcasts’ are the ones running the show.” That means, all the Veronicas out there are about to be front and center, and this might be the most exciting thing to ever happen to us, or at least the most exciting thing today. The show, with a script from Jason Micallef and executive producers Tom Rosenberg and Gary Lucchesi, will be a modern take on the ’80s cult classic, but the crux of the show will still clearly be all about that Veronica-Heather dynamic. And J.D. The only bummer thing about this is that Winona Ryder probably won’t be back as Veronica (and Christian Slater will not be back as J.D., obviously). Let’s start accepting that sad, sad fact now. But seeing as how Sarah Michelle Geller is coming back for the Cruel Intentions TV reboot… let’s not give up all hope just yet. Ryder is currently working on a Netflix show, and Slater is in Mr. Robot, so maybe they could stop in for a quick cameo. Or a full season. Hopefully it’s the latter.